One of the most intimidating things to learn when it comes to lighting is how to choose the right light modifiers. There are countless umbrellas, softboxes, octaboxes, stripboxes, and beauty dishes offered. All these contraptions help shape the way light spreads in different ways, and the appearance of the people and objects we photograph will be affected by this. The decision can be crippling. Thankfully there is an easy way to choose, and it’s all about understanding the language of light. Digital retouching is a touchy subject. Many see it as virtual plastic surgery, a dishonest concealment of the person’s true self — creating an unrealistic standard of beauty. 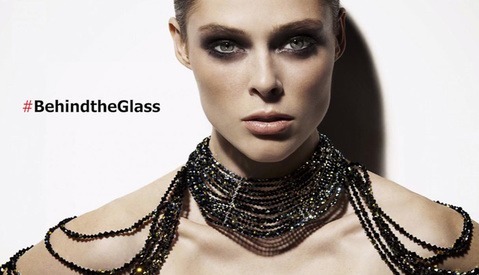 Others view it as a means of helping a person look their best, or to achieve an artistic vision. Either way, there doesn’t seem to be much sign that this trend is about to change. Countless articles have been dedicated to this debate, but it is not every day that we hear a famous photographer weigh in on this issue. In this video, fashion photographer and past judge of America’s Next Top Model, Nigel Barker steps up to defend this form of image manipulation with some interesting justifications. It’s the middle of winter; everyone is looking a little pasty and pale, and you wish the subjects you are photographing had that healthy summer glow. So what do you do? 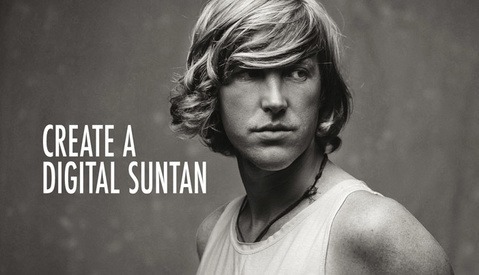 Should you send them to a solarium or get a chemical spray? If you are a fan of black and white photography, this is a fantastic Lightroom technique that will give your subject a natural looking suntan. Working With a Muse: Is the Search for a Creative Soulmate Worth the Trouble? Having your own muse, a person on call who is willing and able to bring your creative ideas to life, is a gift. Traditionally female, muses have been the source of many artistic inspirations and great works of art, due to their beauty, character, or some other mysterious quality. Problem is, these collaborations can become murky as conflicting goals, crossed boundaries, and trust issues seep into what was “a good thing.” How can working with a muse revolutionize your work? Are the benefits of finding one worth the trouble? Last year, Vogue China approached Mario Testino to be the sole photographer for their 100th issue, a task which the legendary fashion photographer took to with great relish. Recently, Testino released the making-of video that documents the work that went into this issue. This is not one of those annoying fashion videos that is over in thirty seconds after bombarding you with bad techno music and flashy editing. Instead, this feature offers some excellent insights into how Vogue develop their concepts, as well as behind-the-scenes footage offering glimpses of how each shoot was set up. Alamby Leung may not be a household name, but among the photographic community, she has become somewhat of a celebrity. Working with Kai Wong and Lok Cheung, she was known as one of the three individuals that made DigitalRev TV one of the most popular YouTube channels in the world for camera reviews. Over 12 months ago, she made a sudden departure from DigitalRev TV and the internet has not stopped asking about her absence. I got a chance to chat with her and she graciously agreed to do a quick photo shoot for this article (It was Christmas Eve after all!). In this interview, she shares why she left, thoughts on working with some of the photography greats, and that “bloody producer." 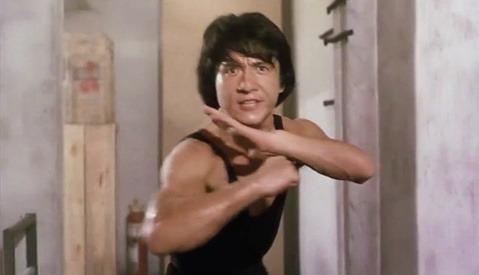 Growing up, I have been entranced by Jackie Chan films for their insane stunts, beautifully choreographed action sequences and hilarious physical comedy. His action scenes are both visually stunning and involving, playing underdog characters fighting against impossible odds. Chan’s dedication to his craft is unquestionable but perhaps he has not been given enough credit as an action director. In this video, filmmaker Tony Zhou breaks down the framing and editing techniques that Hong Kong directors use to create engaging fighting scenes, highlighting how many of these techniques are absent in Hollywood films of today. If you are interested in becoming a filmmaker, you need to watch this. 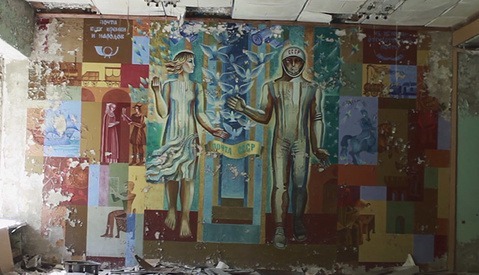 Cinematographer Danny Cooke spent a week with his guide Yevgein, known as the Stalker, exploring Chernobyl and the city of Prypiat, Ukraine. He came back with a haunting and beautiful video which is essentially a time capsule of the city, frozen by a devastating nuclear disaster that occurred nearly 30 years ago. His aerial shots are especially quite stunning. 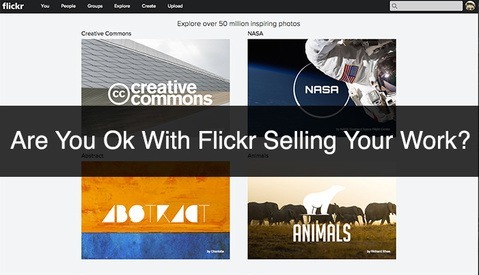 Will Flickr's New Print Service Attract or Drive Photographers Away? Flickr's tumultuous history has been well documented over the years, but this photo sharing site has been fighting back with revamped designs, generous storage for users and new photographic services. Among these initiatives is a new Wall Art service, allowing users to make prints from a mind blowing 50 million freely-licensed Creative Commons images as well as Flickr hand-selected collections. While this service provides an opportunity for photographers to have greater exposure and to make money from their work, some are very upset with how their photographs are being treated. I have always associated a romance with being a specialist photographer, whether this be in the area of weddings, fashion, automotive or dreamy tintype portraits. You are valued as a master in your field and people want you for the style that you create. On the other hand, there are positives in working in multiple industries as a photographer. You rarely get bored due to the variety of work you do, and it’s fun to learn new skills and adapting to various situations. You might have to manage different “identities” but that suits you fine because you love the challenge conquering different fields. There are many ways we can find new inspirations and ideas. From researching new work, doing workshops or experimenting with new techniques, most of us have these regular go to methods of getting ourselves out of a photographic funk. Psychologist Mihaly Csikszentmihalyi proposes that thinking more like the opposite gender can expand our creativity and essentially give us more scope in the ways we express ourselves in our work. At the most basic level, photographers seem to be in two camps when it comes to image file types. There are those who care about the look of their images and shoot with big RAW files and those who don’t and use the smaller JPEG files. RAW files offer a tremendous level of control over noise, tonality and color; a hearty file that can cope with the demands of our creativity.